What Would Repentance Look Like in Hollywood? Many generations have referred to the Hollywood hierarchy as a breeding ground for hedonism and licentiousness. One movie director says, “Satan has offices here!” In some ways they’re right, there is sin present in Hollywood, however, in other ways, their comments are hasty generalizations. There is sin everywhere, but, where there are believers, there should be a healthy representation of Christ which includes a repentant heart. What would repentance look like in Hollywood? Put plainly, repentance is completing an “about-face” away from your sin. In the Gospel of John, Jesus shocked His followers and skeptics by saying, “You must be born again.” Some people were puzzled by this statement, but Jesus was referring to a spiritual rebirth, rather than a literal rebirth. The evangelist and devotional writer, Oswald Chambers, poses a question about this verse to help unpack its meaning. “Am I seeking to stop sinning or have I actually stopped?” Chambers clarifies, “To be born of God means that I have His supernatural power to stop sinning.” This claim seems impossible especially in Hollywood where there is ample exposure to warped ideologies, sexual perversions and slander. However, Chambers is not saying we will never sin again (in fact, we most likely will), but what he is saying is that the Holy Spirit uses the power of Christ to compel us to know better than to sin, and therefore actively decide to turn from sin. Repent is a verb! Repentance will also look different for everyone. Just as we are created unique, we also may struggle with unique sin. The R&B singer Montell Jordan for instance, left the industry to pursue a life in full-time ministry. On the other hand, repentance for others means pursuing the industry with a mission mindset, which is the foundation of Movieguide® and the vision of Founder Dr. Ted Baehr. Repentance also requires a resolution. In order to live differently than the world, we must be resolved to hold fast to the teachings of Jesus no matter how dazzling the Hollywood lifestyle appears on the outside. A few noteworthy actors realized that fame couldn’t compete with the glory of God and remained resolved to follow after Jesus. For instance, the 1960’s heartthrob, Steve McQueen, gave his life to Christ after movies like THE GREAT ESCAPE and PAPILLION. Turns out, the motorcycles, planes and women didn’t satisfy his soul. While living in Idaho and Santa Paula, California, McQueen found spiritual renewal in his local church, where he invested his time and energy until he passed away. Like McQueen, Ingrid Bergman also came to Christ in her later years in the spotlight. Similarly, at the height of his fame, Kirk Cameron (GROWING PAINS) was making lots of money on TV, going to A-lister parties and one of the most recognizable faces in Hollywood. Yet, even with all the acclaim, Cameron felt a longing for something- or someone– more. Recall the movie I CAN ONLY IMAGINE. Arthur (played by Dennis Quaid) is overcome with anger, and resentment, and he takes it out on his son in violent ways. His sinful heart costs him his relationship with his son, who eventually leaves his father. Amidst all the bitterness he feels, Arthur is brought to Christ through the healing power of music and the Holy Spirit’s conviction on his life. Arthur learns the hard way that repentance is essential to understanding the Gospel and living a fuller life in Him. His next step is that he changes his behavior, and becomes a new person in Christ. I CAN ONLY IMAGINE is just one of many good movies that portray a repentant heart. UNBROKEN: PATH TO REDEMPTION which releases September 14, 2018 is another. Perhaps, some of the depravity in the entertainment industry is because Christians stopped being a light in the industry for too long. Before the 1960’s, the church was a prominent voice in Hollywood. Sadly, the church influence left the industry in 60’s, as many Christians grew to believe Hollywood was only for unbelievers. Movieguide® has been working to play a role in correcting this since Dr. Ted Baehr started it over 30 years ago. We’ve made some incredible headway. If repentance was rampant in Hollywood, at best, we wouldn’t have to tackle sexual misconduct scandals, see celebrities succumb to addiction overdose, or watch an award show that tries to manipulate viewers to a political agenda over and over. Studios might not be at odds with one another, and celebrities would not tear down their peers. There might be more boldness for Jesus instead of noise that clouds our culture. In a way, Hollywood is a picture of our own tendencies of sinful behavior. We, like those in the limelight struggle with pride, arrogance, gossip, and the like. We just don’t have cameras following our every move. We are all broken, but the truth of the gospel should breed repentance in our hearts. We aren’t the same anymore. We cannot live in the depravity of our muddied pasts. We are set free and redeemed into his loving arms! 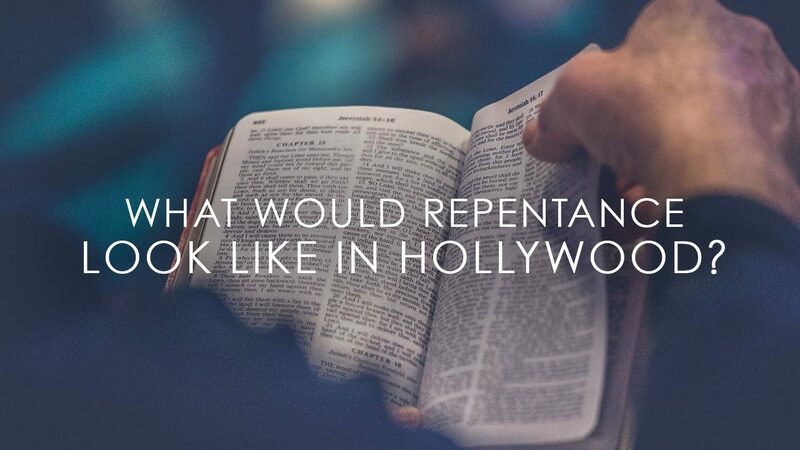 The journey will be filled with pitfalls and peaks but as Paul states, ” I press on toward the upward goal…” Wouldn’t it be powerful if Christians in Hollywood daily practiced the discipline of repentance? Before we point too many accusatory fingers, we must evaluate our own hearts too (2 Cor. 13:5). The “repentance revival,” begins with the example of the church, and by all means, the church needs repentance! 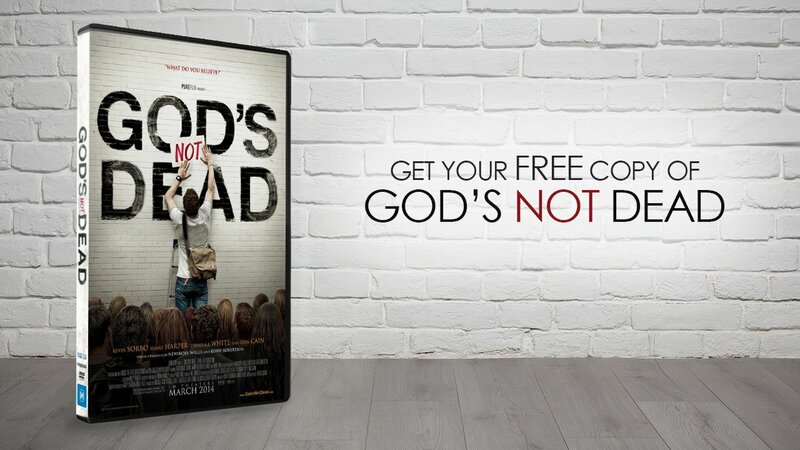 It’s important to realize that we can’t expect nonbelievers in Hollywood to follow Jesus on their own. There must be a divine encounter in their own souls that prompts them to change from the ways of this world to the posture of a heavenly outlook. Hollywood isn’t beyond hope. Many cultures and nations which have gone down darker and more depraved paths have found spiritual revival through the Grace of Jesus. It just takes faith, a whole lot of prayer, and faithful sons and daughters of the God who are willing to live out a life of continual repentance. Please pray that this happens in Hollywood, in the church, in our homes, our communities, and across the world.